Lately I’ve been a wee bit frustrated because my kitchen is on the verge of chaos. I have craft supplies out on the table, my spices are tumbling over each other in the cupboard, and fruit is out on the counter because there’s too much stuff in the fridge. Sigh. But then something came in the mail the other day that helped me win my battle, and now I’m left standing to show how to easily organize your kitchen with a wall basket hanger. Not only that, but I have a chance for you to win a $50 gift card to Decor Steals along with your own wall basket hanger! 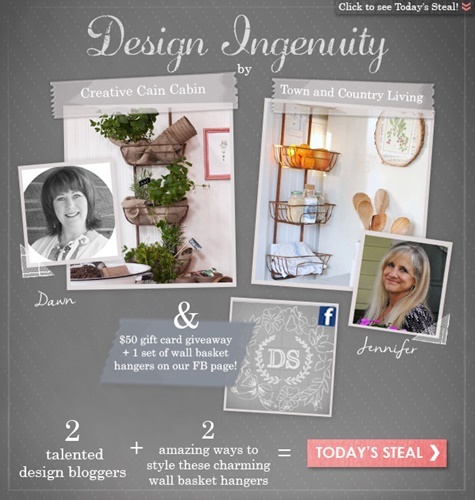 Decor Steals paired Dawn at Creative Cain Cabin and I together for their Design Ingenuity Event! We both received the same wall basket hanger from them and you can see what each of us did with it (a link to Dawn’s blog is at the end of this post). 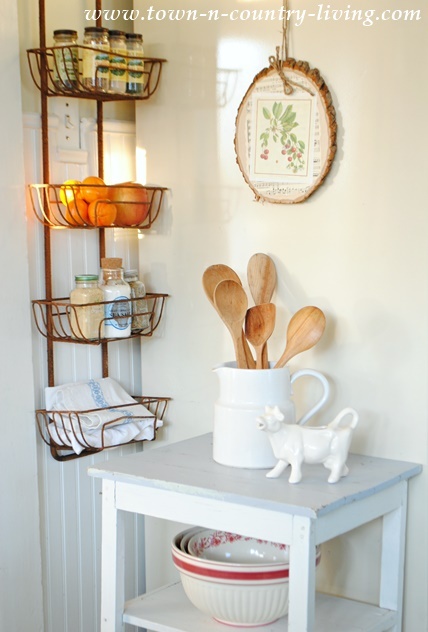 The wall basket hanger is the perfect style for my farmhouse kitchen. 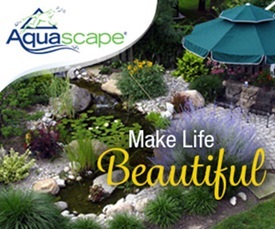 But even better is its functionality! This is what the space looked like before I got my wall basket hanger. It’s an unused corner next to my old refrigerator (which desperately needs to be replaced). When I took the rustic basket hanger out of the box, I instantly knew it would fit right here in this awkward corner. And here’s the space after! Now it’s not just a wasted corner. 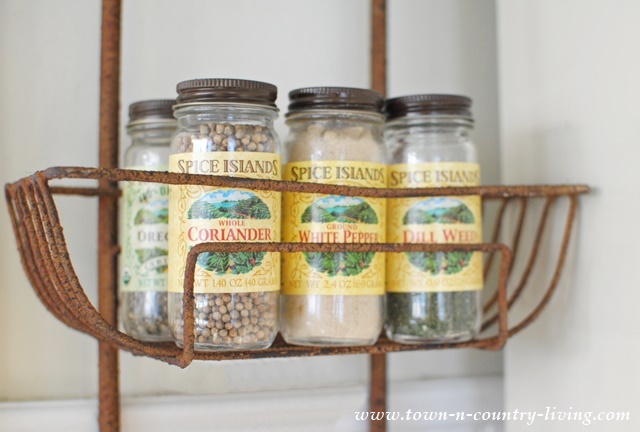 Hubby hung it up on the wall and I grabbed some of my favorite spices for the rustic baskets. I hate digging for spices in my cabinet!! Now my favorites are within easy reach while I’m cooking. I can even toss a couple kitchen towels in the bottom basket. I don’t like hanging the towels on the oven door because the cats think they’re toys and they pull them down and get them all dirty. Even the fruit found a new home, freeing up valuable counter space. I’m too short to reach the top basket, so I put a plant in it. This is just what I needed to help organize my kitchen! 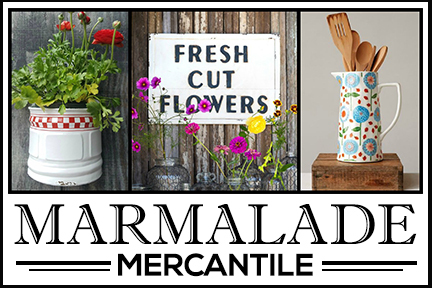 Something simple and functional with plenty of farmhouse style! 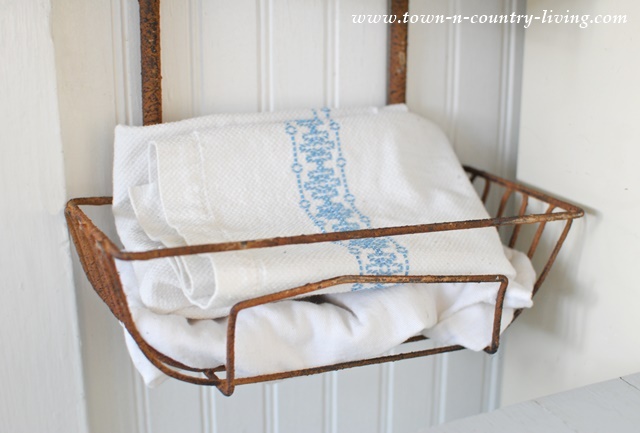 Be sure to head over and see what Dawn at Creative Cain Cabin did with her rustic wall basket hanger! She’s so talented and I love everything she does! But that’s not all!! Starting at 10 am EST today, head over to Decor Steal’s Facebook page where you can enter the giveaway for a Rustic Wall Basket Hanger and a $50 gift card! And that’s still not all! You can order your own Rustic Wall Basket Hanger at Decor Steals before it opens to everyone else at 10 am EST. Once it’s sold out … it’s gone! Product was provided by Decor Steals but all opinions are my own. 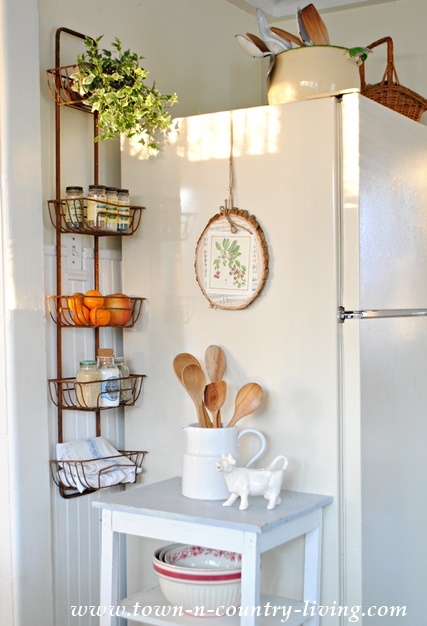 I can’t believe what a difference the basket made in that space, when I first looked at it I didn’t think it would fit but it’s just lovely there and looks so handy with all your kitchen things. Perfect for your farm house kitchen. 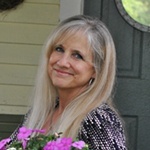 Just wanted to tell you that your blog is an answered prayer. 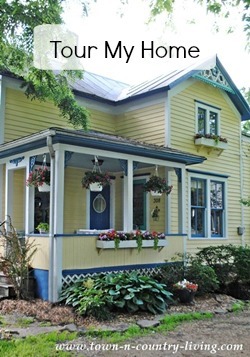 I’ve been looking for a blog about home and designs that suits my style and taste but couldn’t find one. This just has everything that I ever wanted to see in my future home. 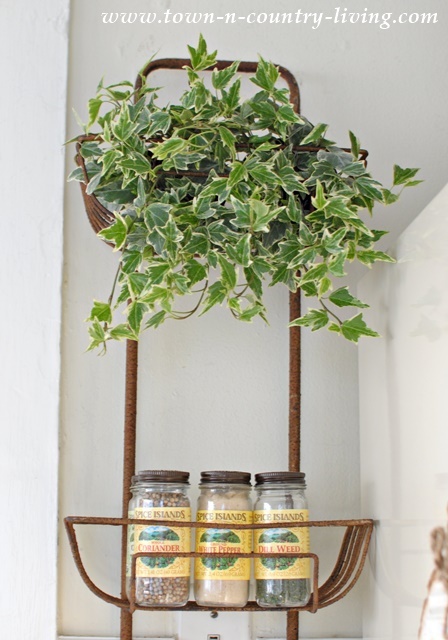 Very nice looking rustic wall basket hanger and you have found the perfect place for it. I love this rack. 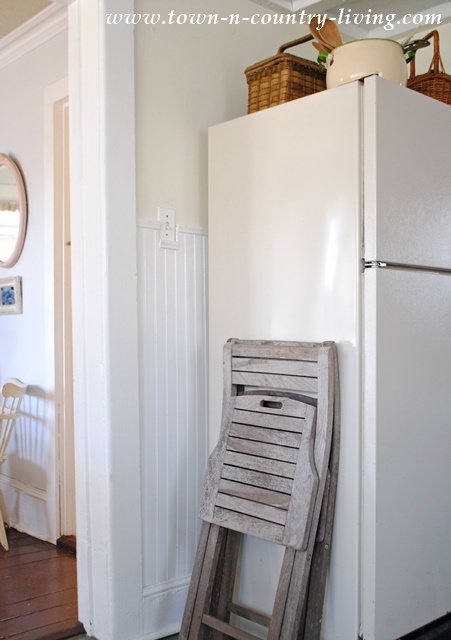 I have a very small kitchen but It would also work fabulously in my bathroom. Thanks for the idea! 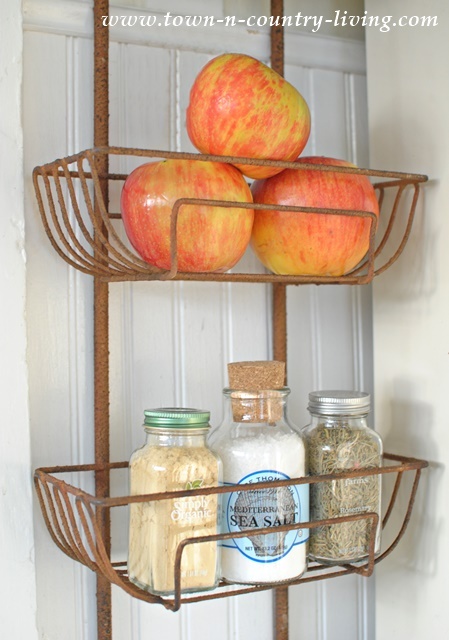 LOVE how this shelf looks in your kitchen! Jennifer that pretty basket finished that spot in your kitchen beautifully…love how it looks!! Your photos look so pretty! That wall basket really is a great piece to have. It looks so pretty where you have hung it and seems to have been made for the space! That basket is the cutest thing!! I can see where it would be just perfect for small room such as the kitchen, pantry or a bathroom! I would love to know where I could find one. Beautiful find! Perfect space and perfect vignette for this great wall organizer! I love that it fits so well next to your frig!!! I absolutely L.O.V.E. how you decorated the corner of your kitchen with the Decor Steal’s fabulous baskets. And then, you added a perfect little farm table with utensils and white dishes. This is my first visit to Town and Country Living and I know I’ll be back again and again.